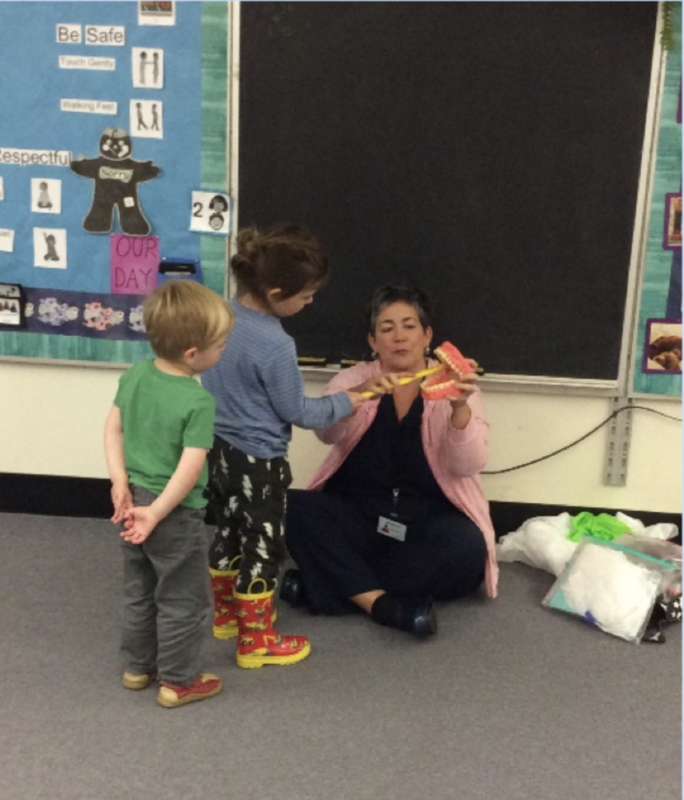 CDHC Tracy Towers teaching school children proper brushing technique. Barriers to dental care are not created equally. Even when they spring from socioeconomic conditions, like low income and poverty, the particular array of challenges can be as diverse as the people. Still, the challenges often mean parents, children and other family members must deal with those challenges instead of having needed time in a dental chair. But there are some impediments that are experienced enough so that trained health care professionals can run interference to assist the many patients who might otherwise miss out on care. Where these common and predictable problems exists is where community dental health coordinators (CDHCs) can make a huge difference. CDHCs typically receive specialized training which builds upon their already established dental skills that helps them to anticipate, recognize and ameliorate access to care barriers, particularly in underserved communities nationwide. In Vermont, children benefit from uniquely prepared dental hygienists who work in some schools districts as dental care coordinators through The Tooth Tutors Dental Access Program – a Vermont Department of Health vehicle. 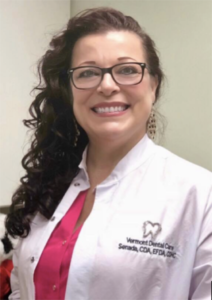 Though not all “Tooth Tutors” have formal CDHC training, there is a lot of crossover in the work, said dental hygienist Tracy Towers, who is both a CDHC and Tooth Tutor. Towers works in Dr. Charles “Chuck” Seleen’s two-office private practice in Winooski, Vermont. The practice serves a low-socioeconomic population, she said. In her roles as a CDHC/Tooth Tutor in Dr. Seleen’s office, Towers said she also encounters a high refugee and immigrant population. Towers points to training in cultural competency as one of the biggest values she associates with CDHC training. Through the Tooth Tutors program, she and other trained coordinators work with nurses in coordinating patients’ access to information and resources pertaining to their dental health and overall health. In the school populations the office serves, other big values Towers pointed to include helping to reduce school children’s missed appointments due to common challenges like transportation. In Dr. Seleen’s office, Tower’s colleague, Senada Sokocevic, performs separate functions as a CDHC/Tooth Tutor. Sokocevic is known for going the extra mile, Tower said. “She’s a dental assistant, a refugee from Bosnia. She survived the war in Bosnia, and is a passionate dental assistant. She has tirelessly educated patients on the importance of oral health. In October, the Senate passed The Action for Dental Health (ADH) Act, which underwent reconciliation in November before heading to the White House for final consideration. The ADA-supported bill is significant because it will allow organizations to qualify for oral health grants through Health and Human Services to support activities that improve oral health education for dental disease prevention. These activities will also help develop and expand access to dental services by breaking down geographic and linguistic barriers. It will also help reduce use of emergency rooms by connecting individuals seeking dental services more appropriate for dental primary care settings, thus potentially improving patients’ oral health. Grants from the ADH Act could support training and development of a nationwide supply of CDHCs. In the interim, some towns, cities, and states already employ CDHCs enthusiastically and effectively. There are currently 130 students enrolled in CDHC programs among 17 CDHC curriculum approved schools, with already 316 trained CDHC graduates. Residents of underserved communities, and every vulnerable population group, no matter where they reside, could benefit greatly from trained Community Dental Health Coordinators.